A remortgage to pay debt is a method often used to make debt more manageable. It’s common practice for borrowers to stick with their original mortgage and for this reason can often pay higher rates than what current lenders may be offering. Remortgaging for debt consolidation is a simple, yet effective way to minimise monthly payments and save money. Debt consolidation is a term used for when multiple debts are merged into a single debt. The aim of consolidating debt is to make debt more manageable and to also reduce the amount you pay each month. Debts can be in the form of loans or unpaid credit cards for instance. Rather than trying to manage multiple bills throughout the month, debt consolidation allows you to focus on one monthly payment. Without making an assessment of your individual circumstances, it’s impossible to provide you with a tailored answer. This is because debt consolidation is often advised depending on how much debt you have, how many creditors you’re in debt with and the levels of interest your debt has. If the majority of your debt is related to credit cards, then debt consolidation may be something to consider. This is because credit cards often have higher interest rates and is an expensive method of borrowing money. That being said, debt consolidation only works if you stick to the plan and don’t rack up new debt. Debt consolidation is certainly not an easy way out of debt. Consolidating debt should be used as a last resort as you need to assess the benefits and possible pitfalls you may encounter. Can I remortgage to pay debt? You may qualify for a remortgage to pay debt, however this doesn’t mean that it’s the right option for you. It’s vital to consider your financial options as remortgaging may not be the best choice for everyone. We’ve explained the key areas to consider below. You can only remortgage to pay debt, if you have enough equity in your property. Even if you do have enough equity in your property, it’s important to consider all options before remortgaging. If your current mortgage is still at around 85% of the value of the property, then a remortgage could prove costly. Let’s take a look at the amounts you may be able to consolidate and if remortgaging to pay debt is a viable option. Please note: This is an example and exact figures are always made aware to the applicant in their key facts illustration. Is further borrowing allowed with your current mortgage deal? Your current mortgage deal may or may not allow further borrowing. If your current mortgage deal doesn’t permit additional lending, then you’ll need to approach a new lender to remortgage. If your current mortgage allows further borrowing, check the costs and fees involved. Any fees incurred for further borrowing will often be added to the original loan amount. Borrowing more will therefore increase your overall debt. Does your mortgage term enable you to remortgage now? If you are in a fixed mortgage term for say 5 years, but are only 2 years into the term, then you will more than likely incur early repayment charges. Be sure to check with your lender if there are any early repayment charges if you were to remortgage with a different lender. If your initial mortgage term has expired, the chances are your current mortgage rates will be higher than average. This alone could be one reason to remortgage, as there may be lower rates you can switch to, saving you money each month. Don’t forget to check the costs involved in taking on a new mortgage. Applying for a remortgage to pay debt is similar to applying for other mortgages. You’d undergo a credit check along with an affordability assessment from the lender. It’s worth mentioning that each lender will have their own criteria when making their assessments. Some lenders require clean credit history whereas other lenders may approve mortgages with bad credit. The way affordability is calculated also varies with most lenders. The general rule of thumb is that lenders will lend up to 4x your annual income. This amount can be slightly more or less depending on additional circumstances. Your mortgage advisor will be able to explain this in greater detail and match you to the best suited lender based on your financial profile. Should I remortgage to pay debt? When it comes to mortgages, there’s no shortage of choice. The market is packed full of products with ever-changing rates and variables. So how can you be sure that you’re making the right choice? Always balance the positives with the negatives to find the right deal for you and if a remortgage to pay debt is something that will be beneficial. Financial decisions should always be considered for your own personal circumstances. The risks and positives of using a mortgage to consolidate debts are explained below. The major benefit of remortgaging to clear debt is that your monthly payments will be lower. Mortgages are loans that are paid over a period of time. The period of time to pay the loan back is usually a lot longer than any other financial arrangement, such as credit card balances and personal loans. Because the debt is stretched over such a long period of time, it enables monthly payments to become a lot smaller and easier to manage. If you had a loan of £12,000 with a term of 2 years on an interest rate of 10%, your monthly payment would be around £550, assuming there were no other fees attached to your loan. if the same loan of £12,000 was paid back through a 15 year mortgage with an interest rate of 5%, your monthly payment would be around £70. Even if the interest rate was the same at 10%, then your monthly payment would be in the region of £75. It’s important to note that although your monthly payments will be lower, you will pay more interest on your loan for the duration of your term. This is because rather than paying your loan back in 5 years for instance, you may choose to pay it back over 20 years. By doing this you’ll be paying interest on an additional 15 years. So yes, your monthly payments will be lower, but in the long term you’ll be paying more money out. A remortgage to pay debt will place your home at risk. This is because by consolidating your debt, your unsecured loans are all secured against your property. If you fail to repay your debt, your home will be used as collateral. For this reason alone, we’d only advise debt consolidation remortgages as a last resort. If you were to take this option, then you would need strict financial discipline to ensure repayments are met. Your home will also be at risk throughout the duration of your mortgage term. A remortgage to pay debt will often be the cheapest option you have. If you’ve considered this option or it’s not possible due to your current lender’s terms, then you could use a secured loan to consolidate your debt. Secured loans will often have higher rates when compared to mortgage rates. That being said, a secured loan can still be agreed over a long period of time, similar to a mortgage. This enables you to spread the repayment cost over a longer duration, resulting in smaller monthly payments. 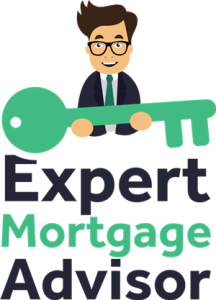 Learn more: Should I remortgage or use secured loans? You could also use unsecured loans rather than remortgaging to pay debt. In essence, unsecured loan rates will usually be very high. This is because the loan is unsecured and the lender is taking a risk by initially approving the loan. Lenders that provide unsecured loans minimise their risk by charging higher interest rates than normal. Unsecured loans usually have smaller time periods to repay loans back. This means that higher amounts of debt usually result in higher monthly repayments when compared to mortgages or secured loans. Conclusion: To remortgage or not to remortgage? If you simply want to spend more, using a remortgage for debt consolidation is the last thing you’d want to do. In all honesty, you’ll really suffer in the long term by doing this as the chances are you’ll generate even more debt. Sometimes falling into debt may have been a result of unforeseen events. You can’t change the past, but you can attempt to change your future. Strong financial discipline is a must, so do your best in refraining from spending where you really don’t need to. If your debt has really spiralled out of control, you can also speak to your creditors. You may be entered into a debt management plan which can allow you to get back on track. Your mortgage lender may also be able to extend your mortgage term, allowing for monthly payments to become smaller. The creditors who you’re in debt with may also allow for payment plans to be set up. Having a plan is vital in clearing your debt, so do consider options such as these. If you’re financially stable enough to repay your unsecured debts, such as credit card bills, then it’s highly recommended to continue paying your bills as you are. It may be wise to overpay if it’s viable for you to do so. Also be sure to check your financial agreements and whether or not overpaying is permitted. Trying to repay your debt without having to remortgage, is probably best overall for the long term. It will be difficult in the short term as you’re constantly paying out, however think of the bigger picture. If you’re just paying back the minimum amount necessary for your credit cards, then your credit card debt will always grow. Ensure you’re paying back the balance and any interest incurred. If the proportion of your debt is from credit cards, you may be able to transfer the balance to another credit card. The reason for doing this is because you may be able to transfer the balance to a credit card with a lower interest rate. Some credit cards even have interest free periods for new customers. This method can enable you to shrink your monthly payments, enabling you to save more and pay off more debt. Only remortgage to consolidate debts, if it really is your last resort. 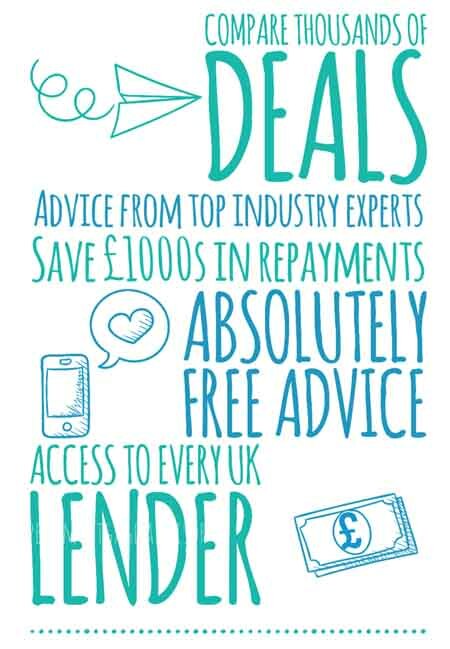 You can view current remortgage rates here and if you’re still unsure, you can make an enquiry with an expert advisor below.